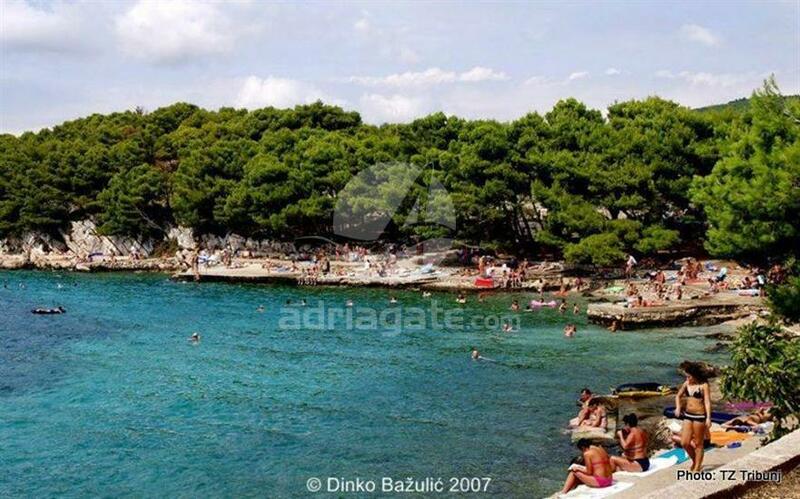 The Zamalin beach is the most favorite and the most popular beach in town of Tribunj. 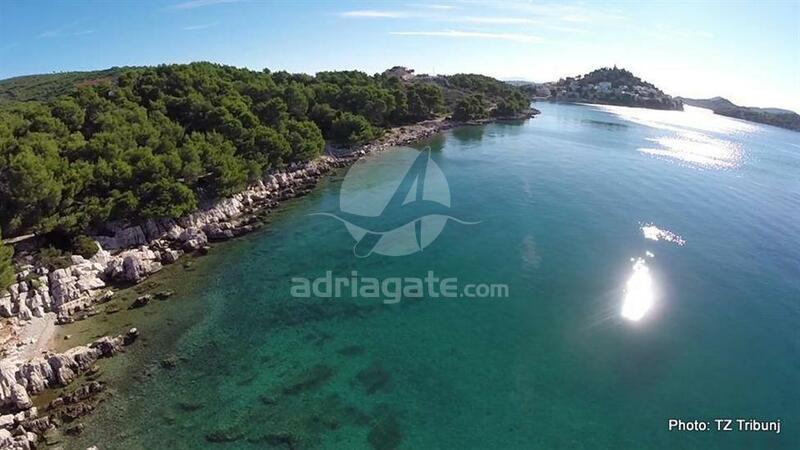 Situated not far from the center this beach is ideal for family vacations and young people looking for fun. Close to the beach there is a parking lot for those who decide to reach the beach by car. This popular town beach combines concrete parts and pebbles suitable for children. 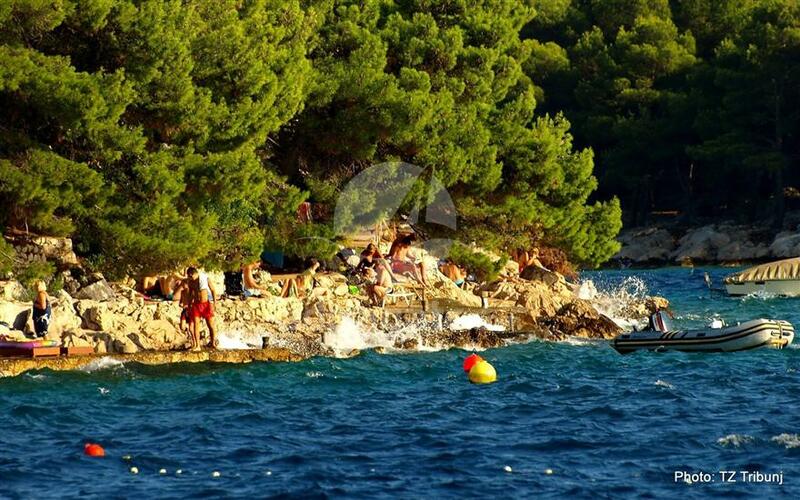 On Zamalin beach you can rent sun loungers for comfortable sunbathing, and when you want to enjoy the shade, there is a pine forest on the outskirts of the beach, providing the natural shade. Right next to the beach there are numerous catering facilities, such as bars and restaurants, where you can refresh yourselves with a traditional dish. Sweet enthusiasts will be delighted by the pastry shop near the Zamal beach, and the youngest will be delighted with delicious ice cream. The Zamalin beach is not protected from the wind and in the afternoon the sea is often wavy, but with a gentle wind called “maestral” that creates refreshment for hot summer days. 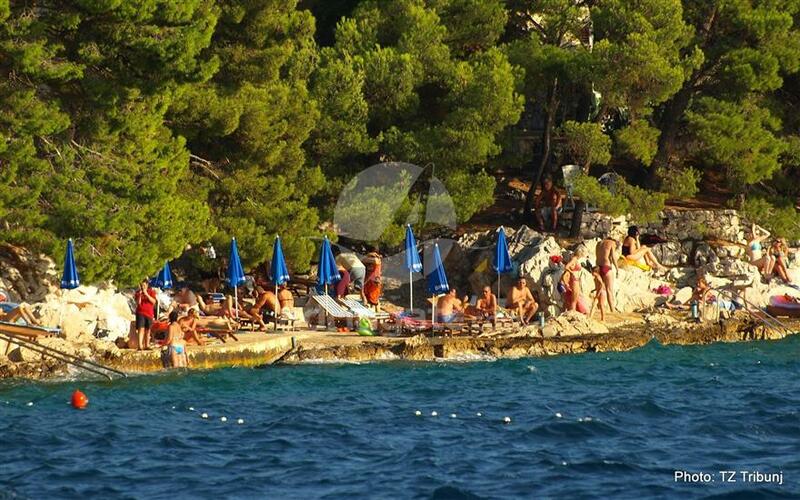 Those who decide to stay on the beach in spite of the waves will definitely be able to enjoy in a beautiful sunset.